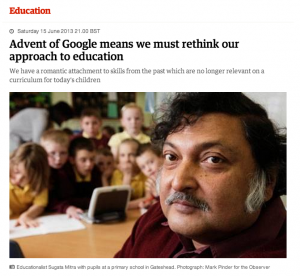 Sugata Mitra’s article in the Guardian on Saturday was very interesting. If you have seen his TED talks (and they are well worth watching), you will know the kind of educational changes he is looking to make. We’ve mainly been talking about extensive reading so far, but there are plans afoot for a guide to leading discussion classes, with online study and presentation to follow after that. For now, you can catch us at the Extensive Reading World Congress in Seoul in September, or at JALT National in Kobe in October. Or, you know, leave a comment here if you like! Seth Godin’s TED talk on education is really interesting. Very similar to Ken Robinson’s talks, eh? If you like his style check this one out: this is broken. I saw a fantastic TED talk the other day, and wanted to share it with you. I think it is very applicable to all teachers, including eikaiwa and university. I would love to be half as inspiring as this woman.